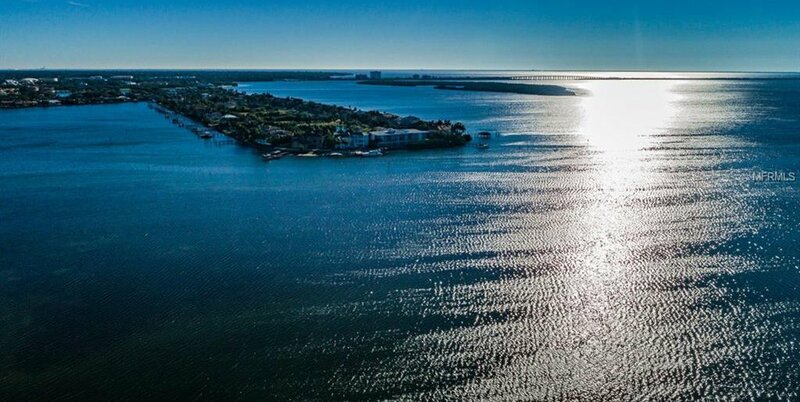 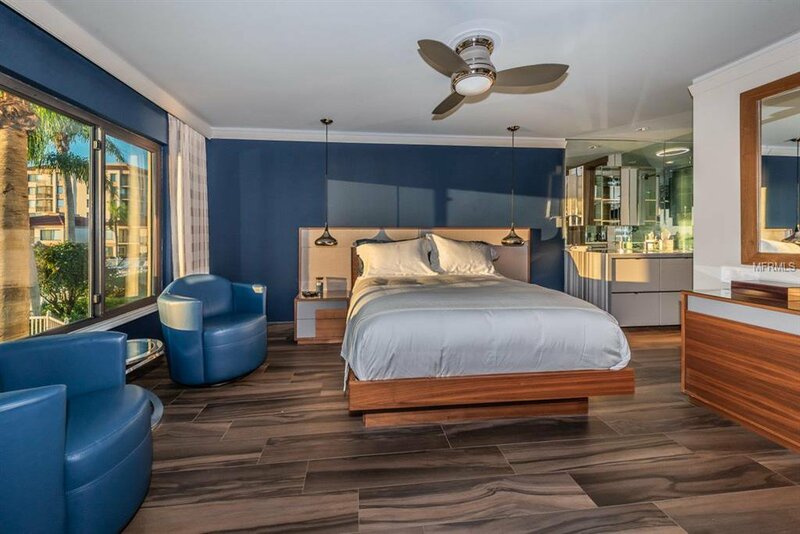 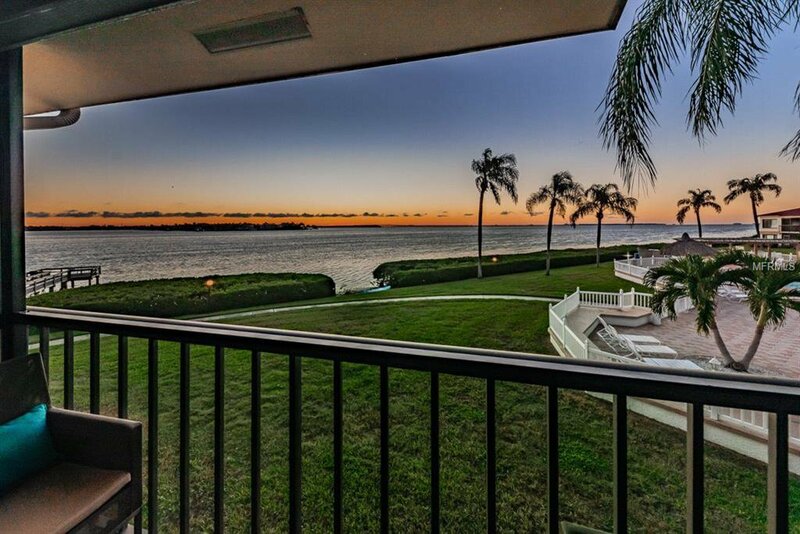 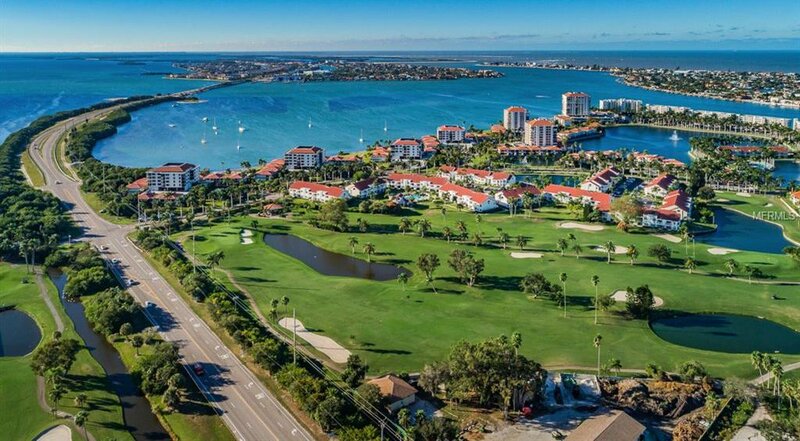 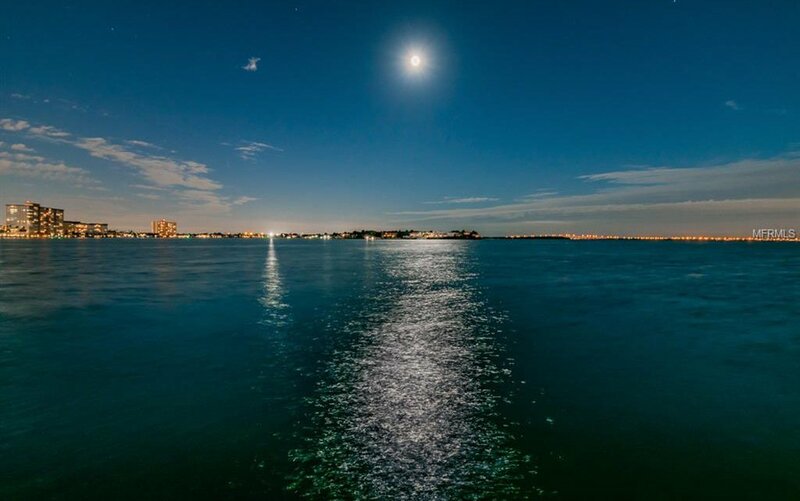 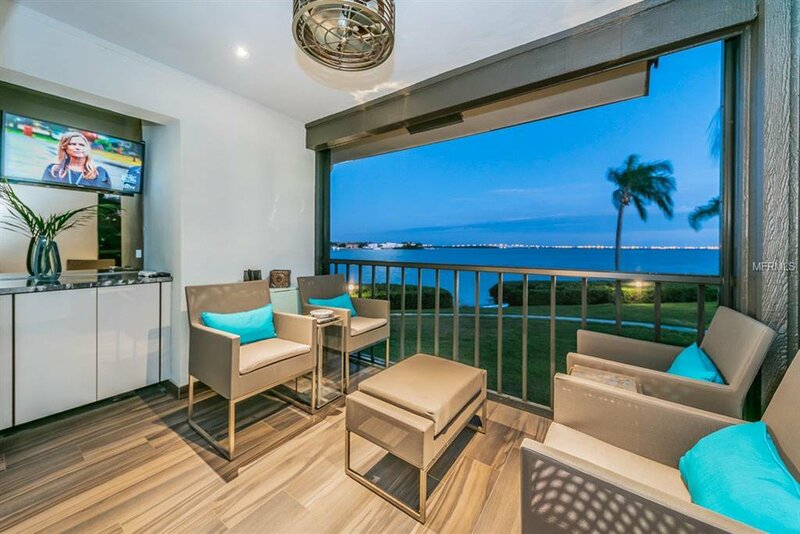 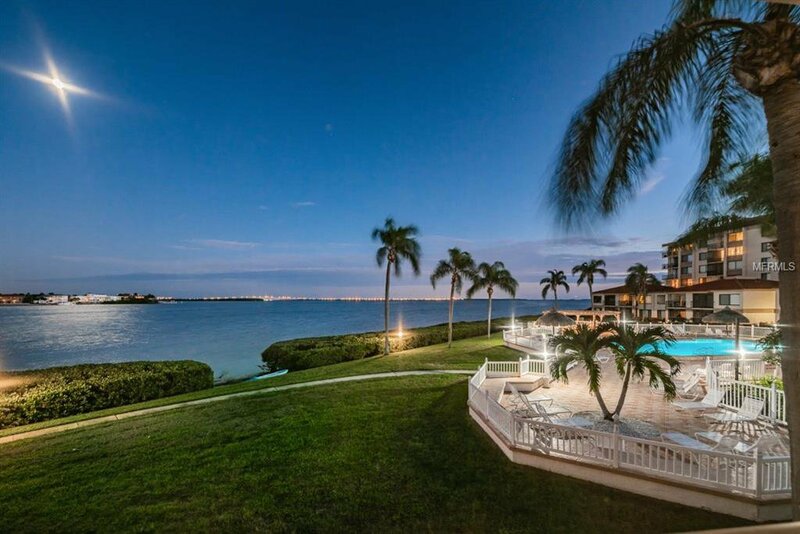 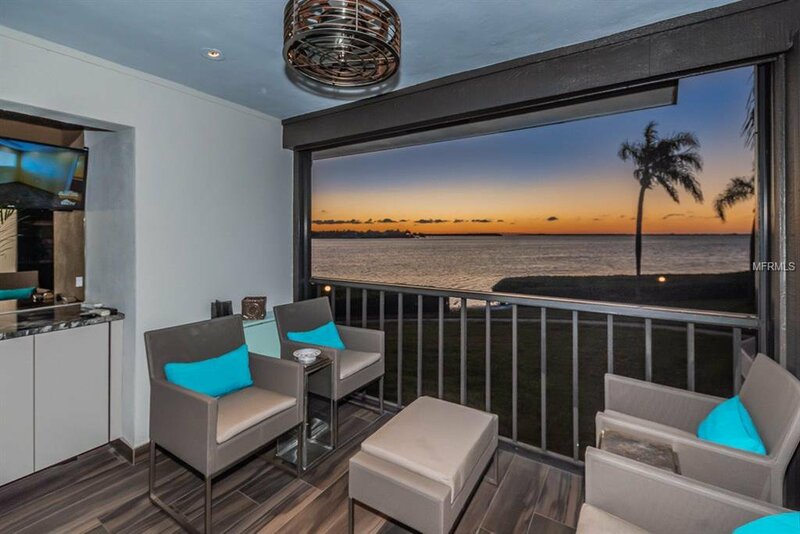 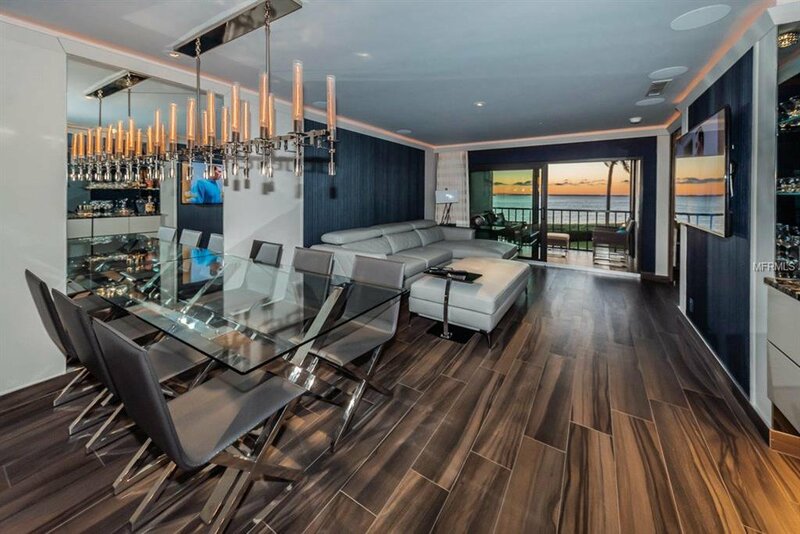 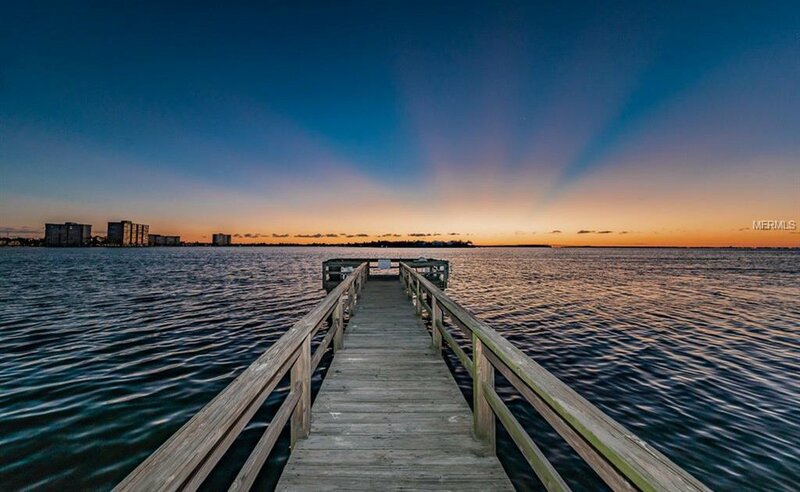 Offering breathtaking water views overlooking Boca Ciega Bay – “Magnificent” is not a strong enough word to describe this completely remodeled & gutted second floor villa. 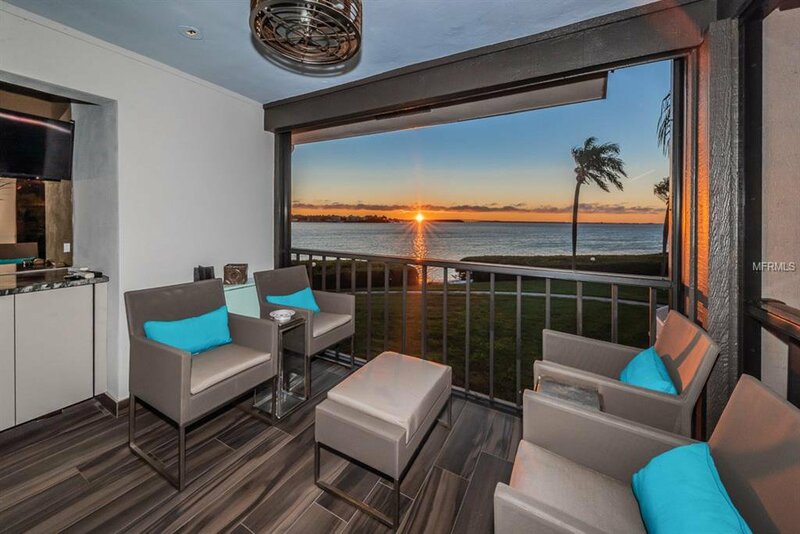 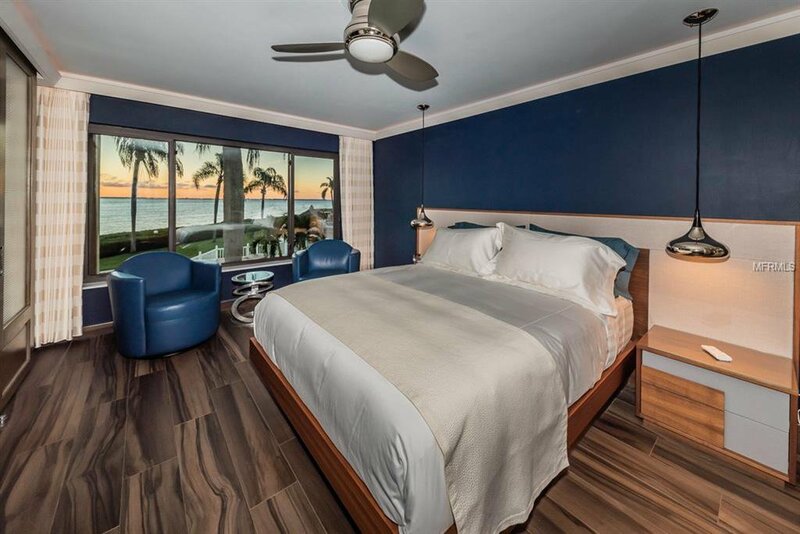 Come live Island Life in this updated outstanding villa featuring majestic sunrises from the light and bright sun room including built in shelving all overlooking the Bay. 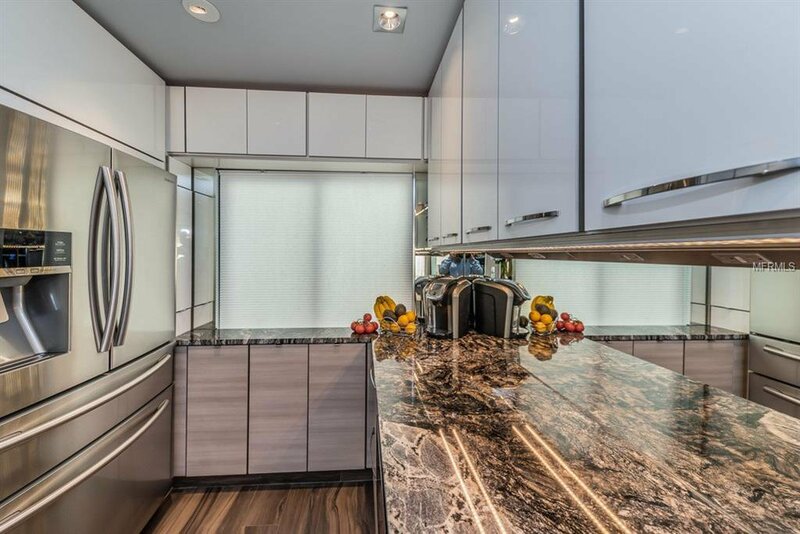 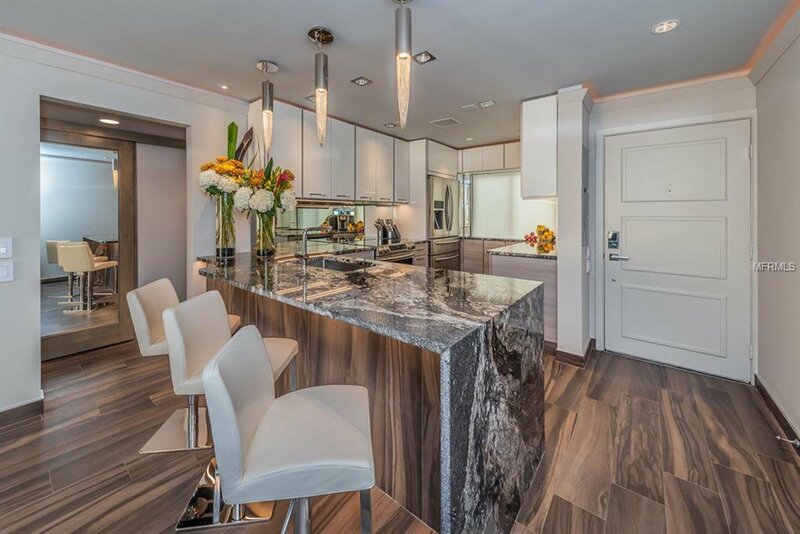 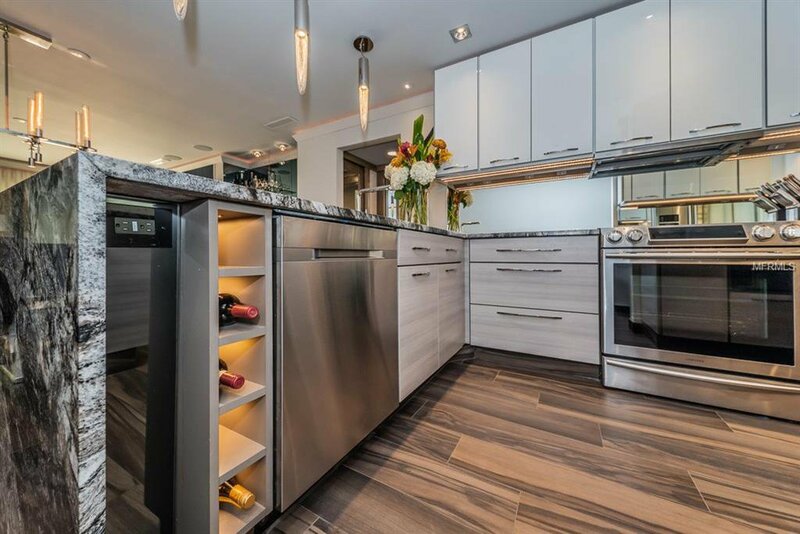 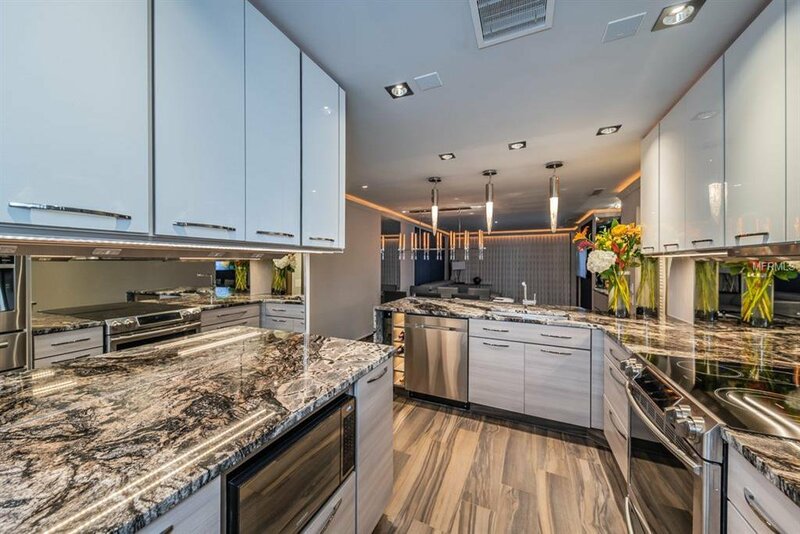 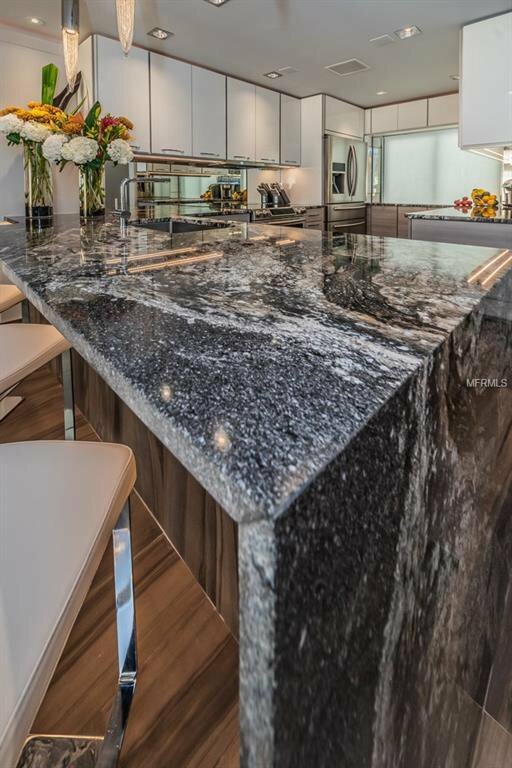 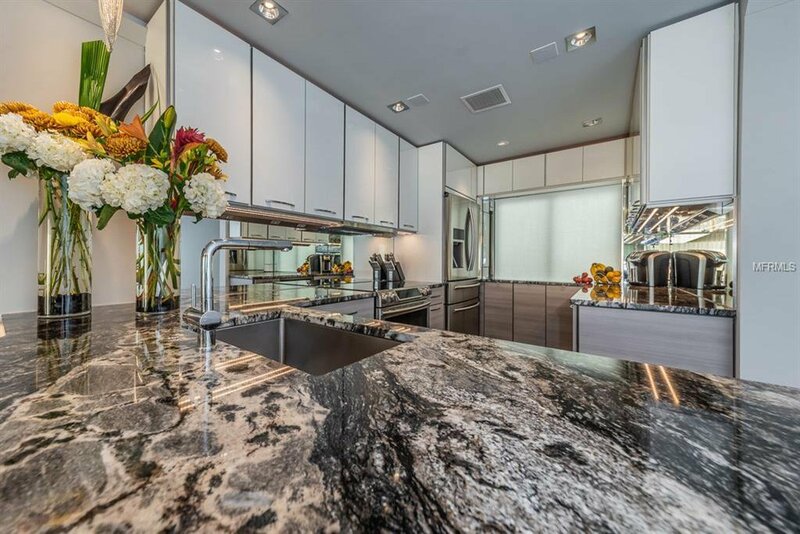 The chef of the house will adore the gourmet dream kitchen boasting custom waterfall granite counters, amazing built-in features in the designer cabinetry, stainless-steel appliances, breakfast bar w/ custom pendant lights & Brazilian flooring. 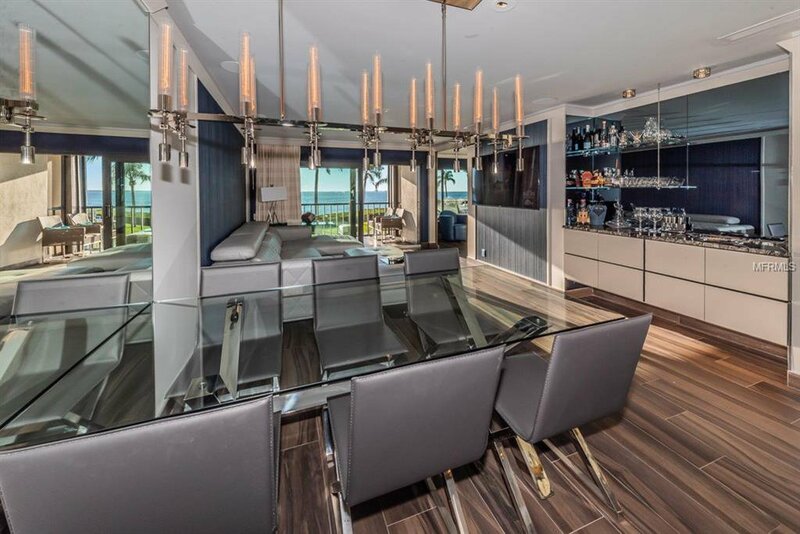 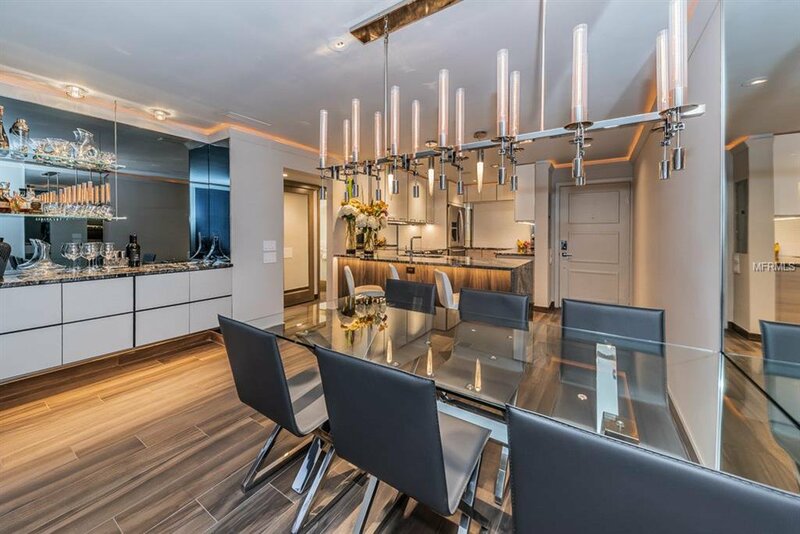 The dining area has a dramatic Edison light Chandelier with an adjacent wet bar & built-in entertainment center. 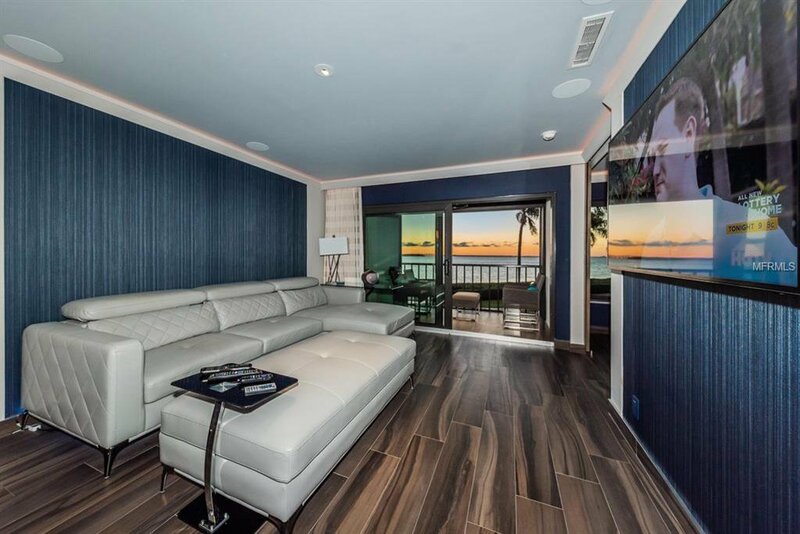 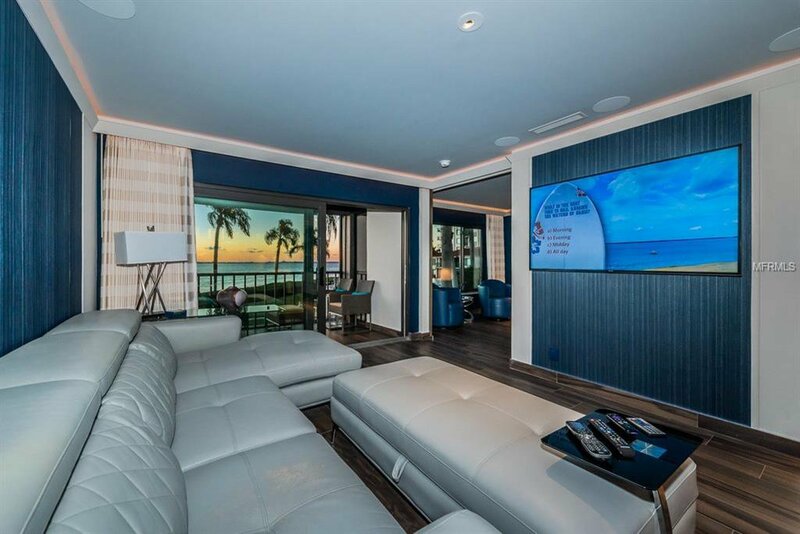 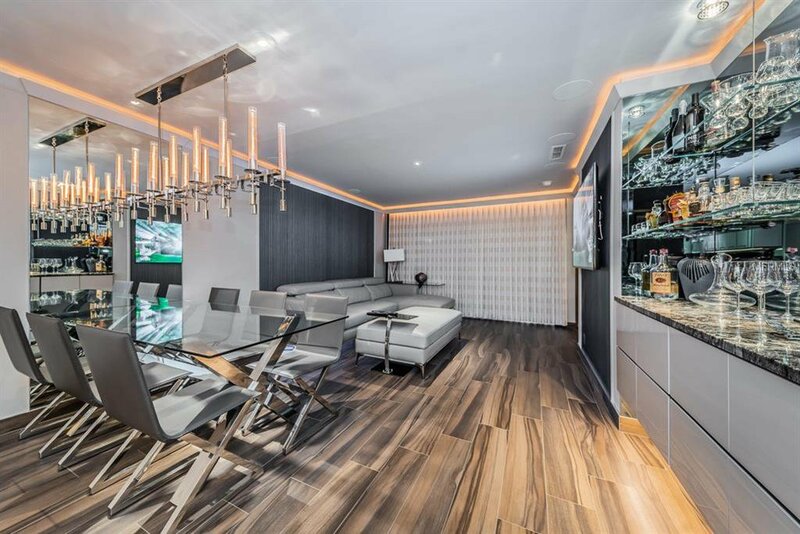 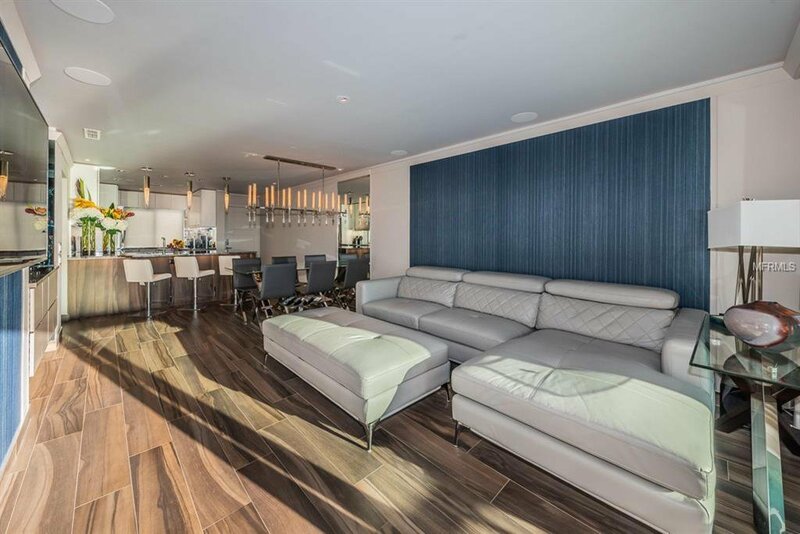 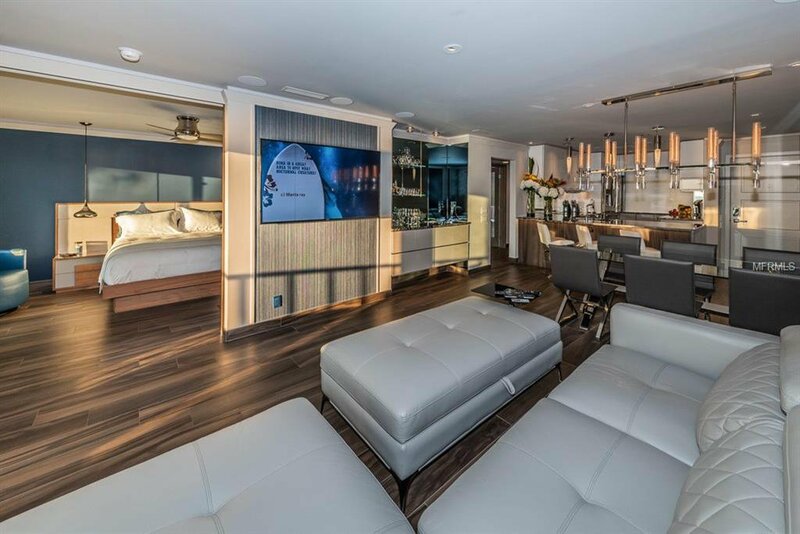 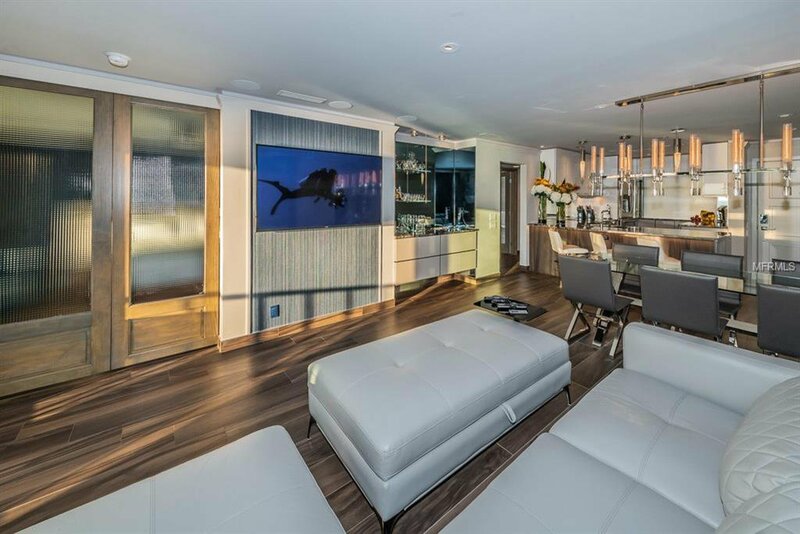 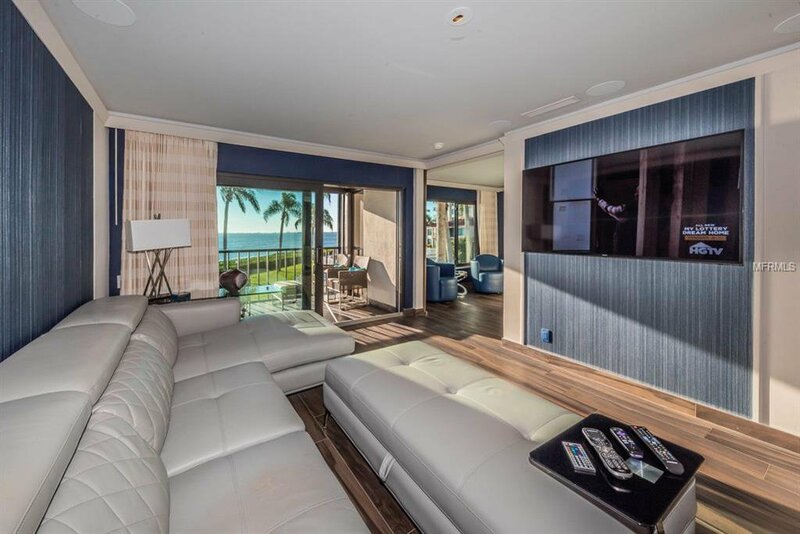 The custom flooring continues to the living room w/ multiple water views, custom lighting & state of art entertainment system. 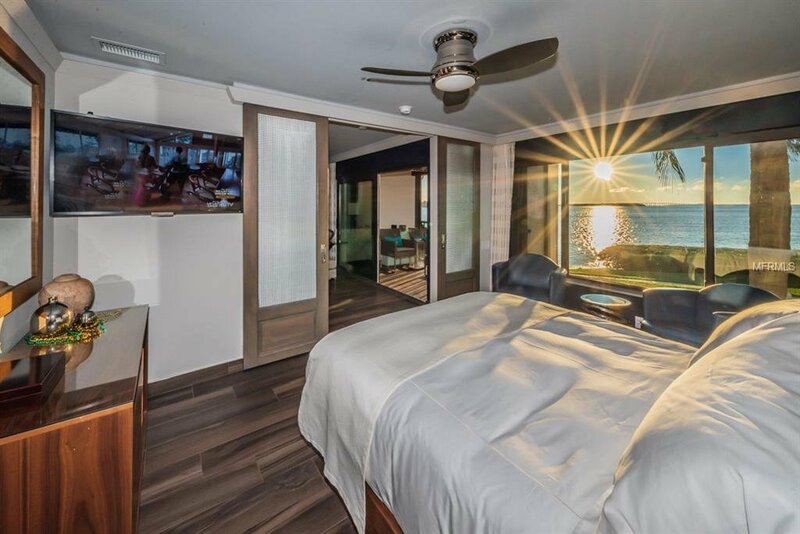 Retreat to the Master Suite with a custom sliding barndoor accenting the entry. 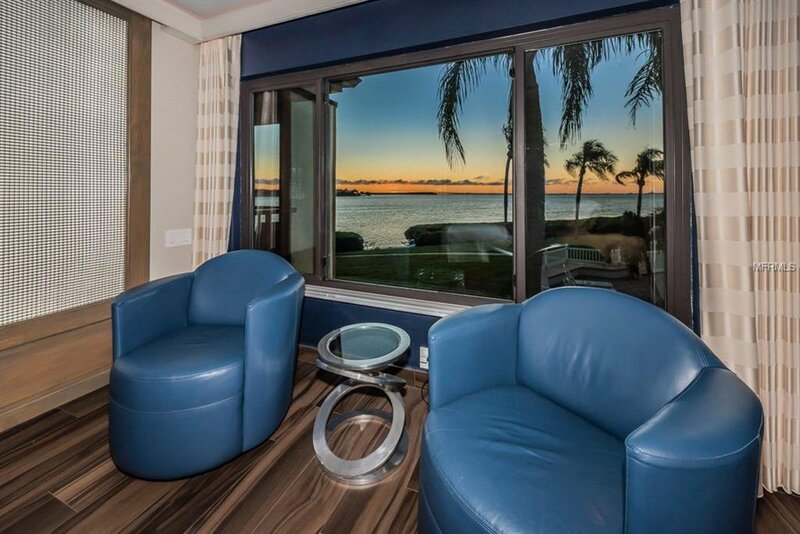 Enjoy relaxing in the sitting area with fantabulous water & pool views. 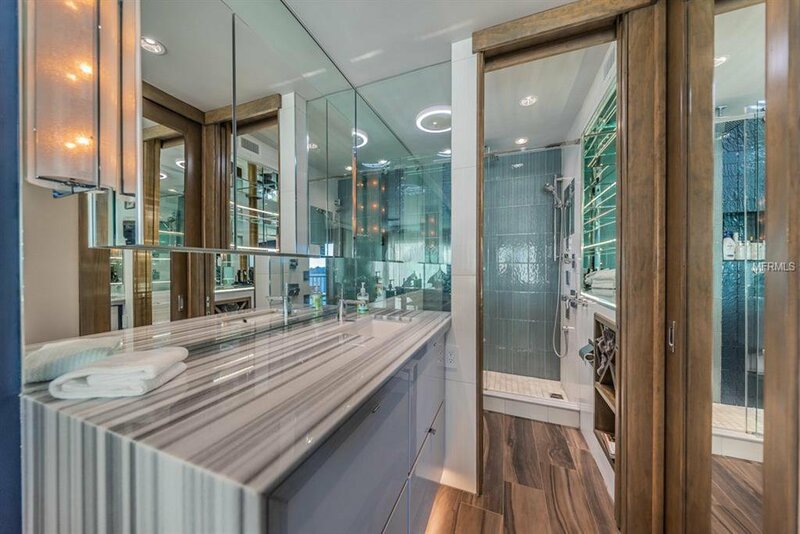 The luxury Master Bathrm is complete w/ designer waterfall granite counters, built in shelving & a lavish multi-jet shower. 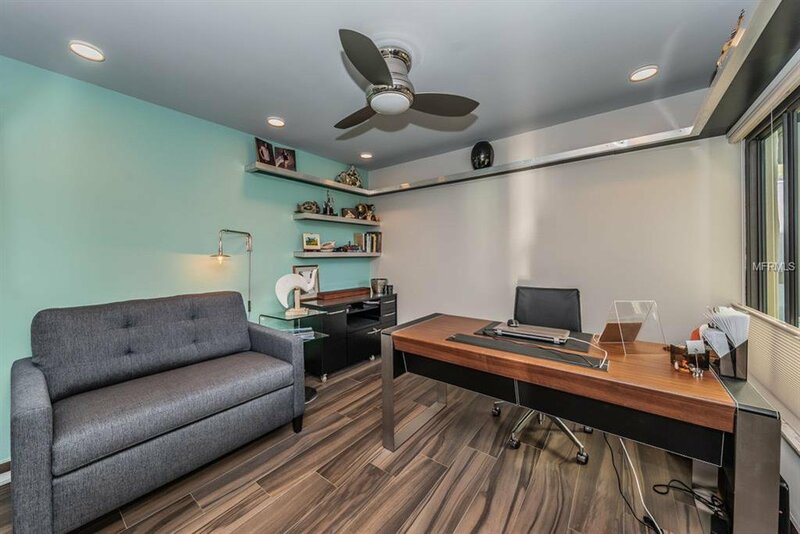 The spacious second bedroom includes custom shelving, Brazilian flooring & ceiling fan. 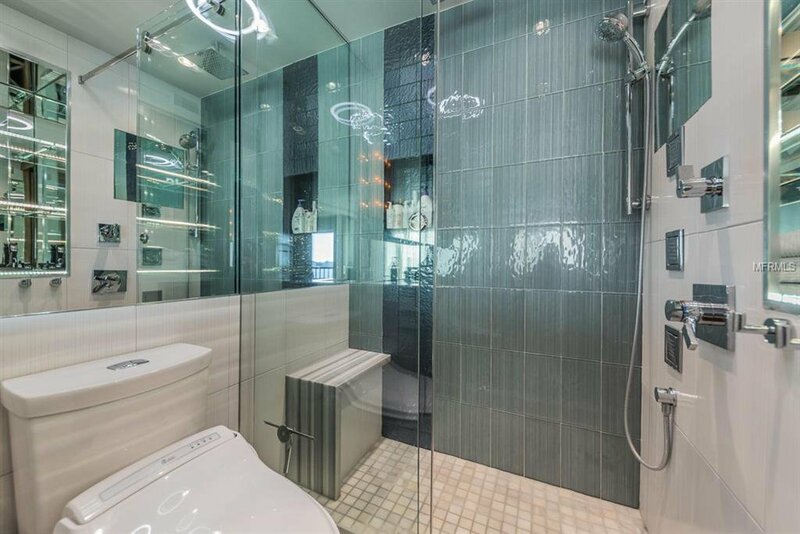 The guest bathroom has plenty of upgrades that will not disappoint. 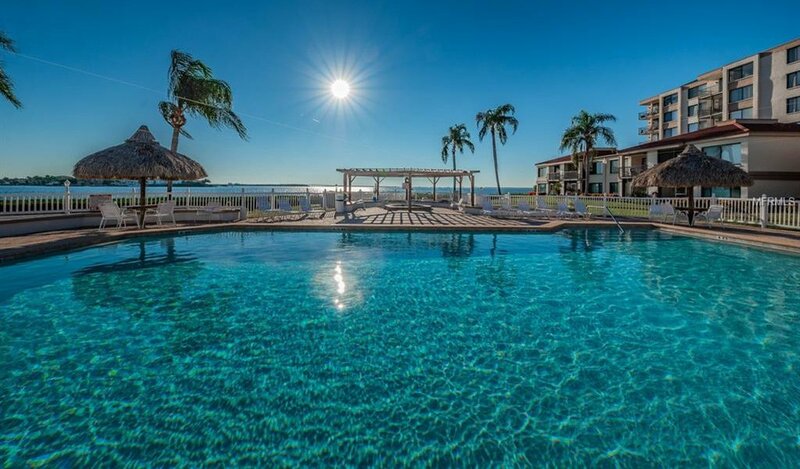 This villa offers covered parking, heated pool, hot tub & park like settings. 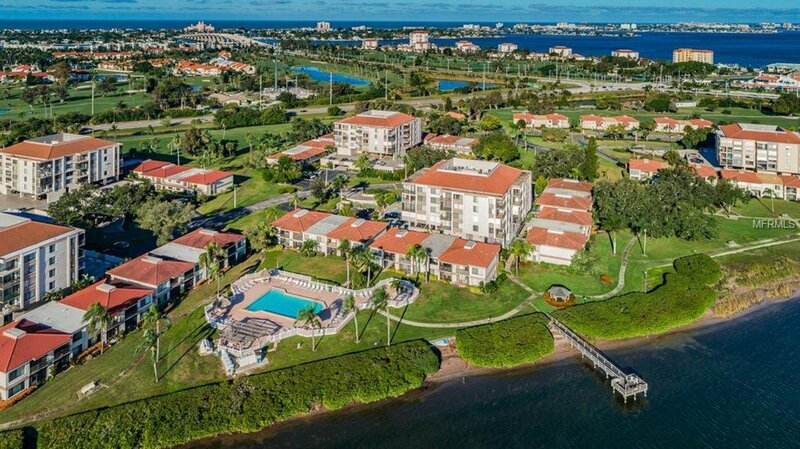 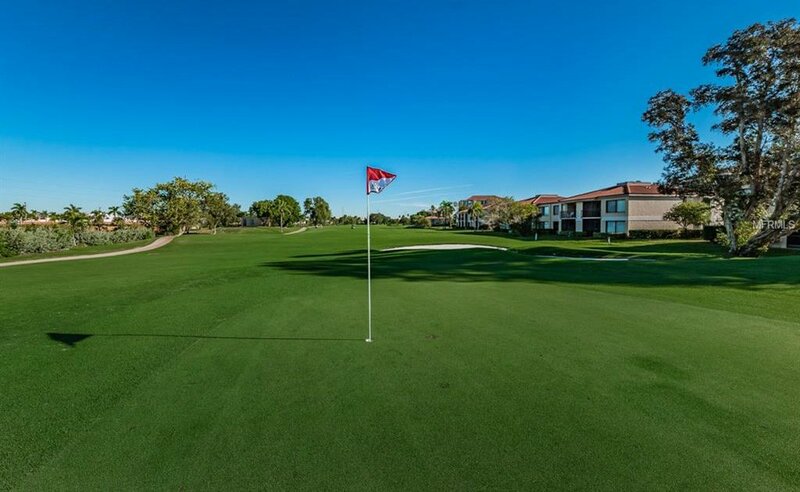 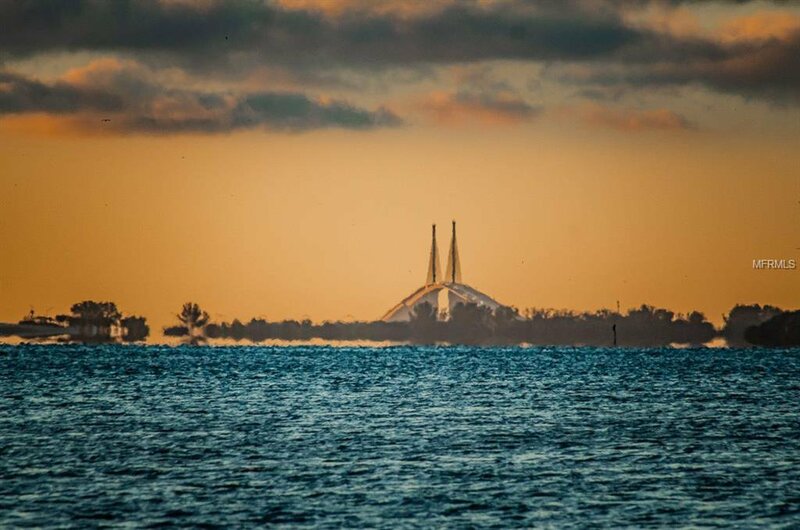 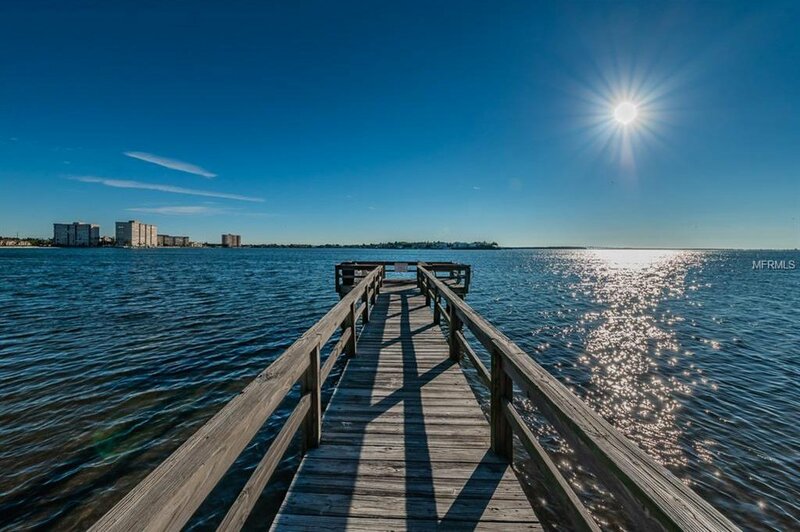 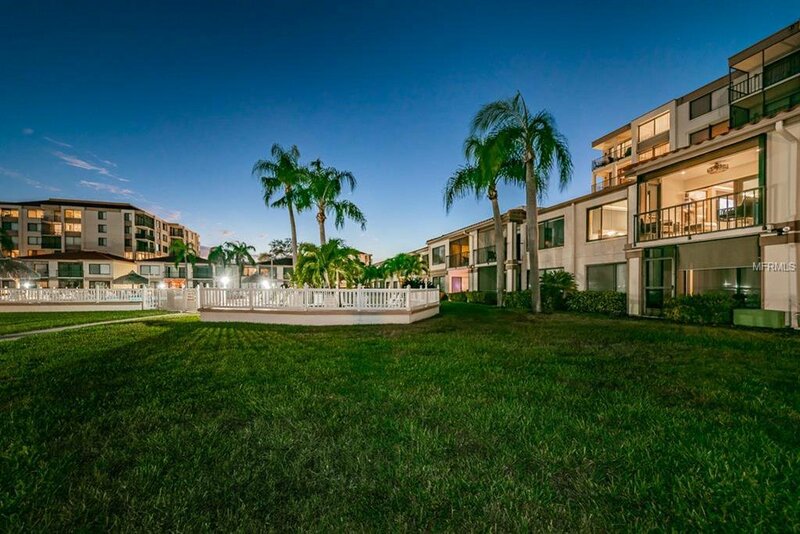 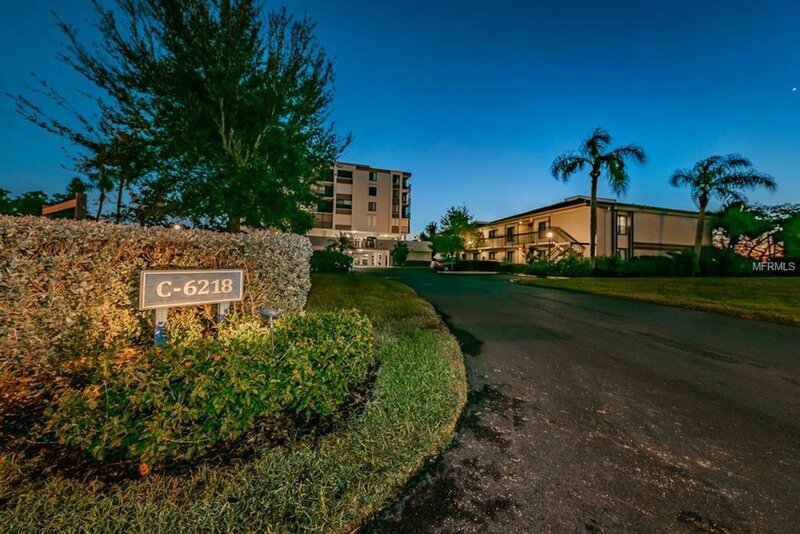 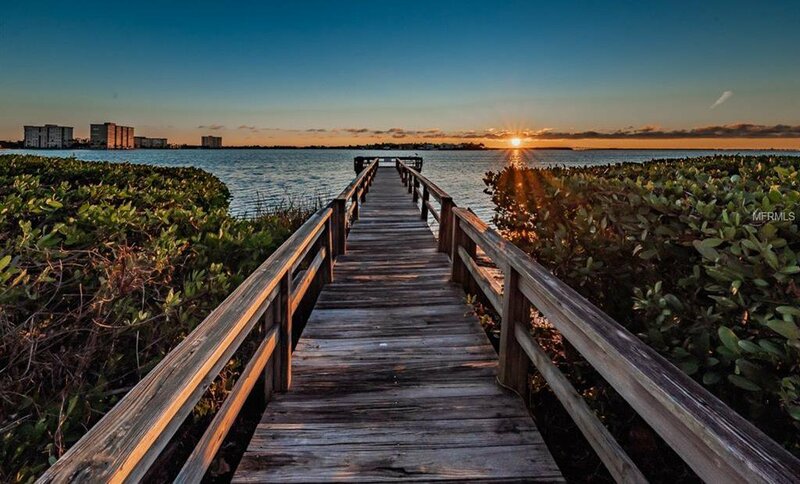 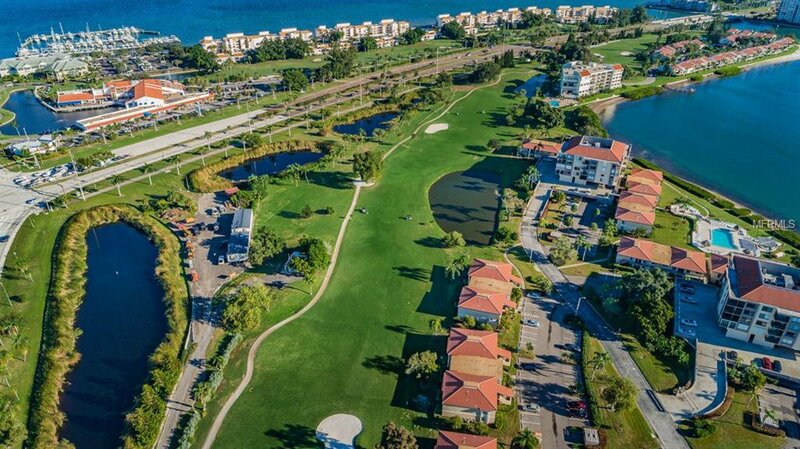 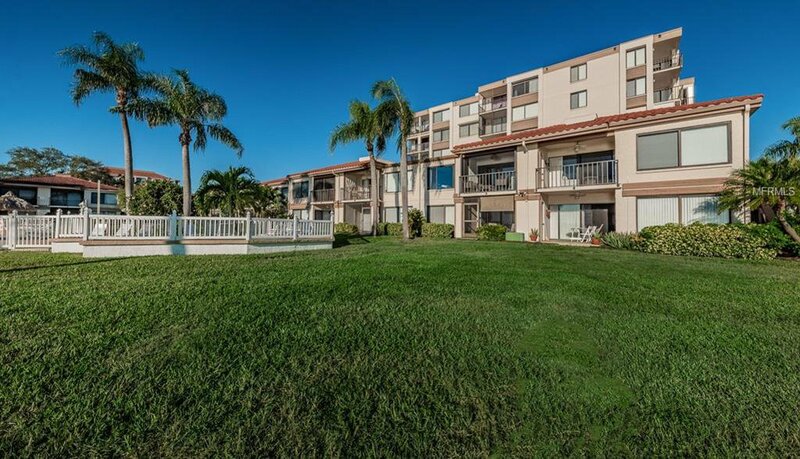 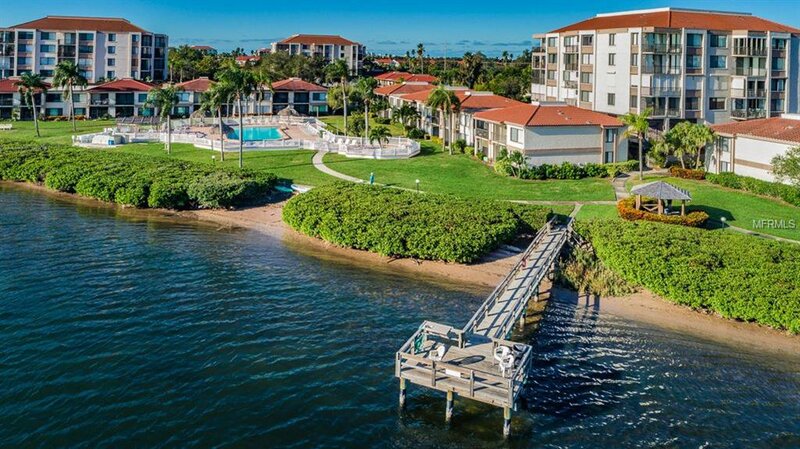 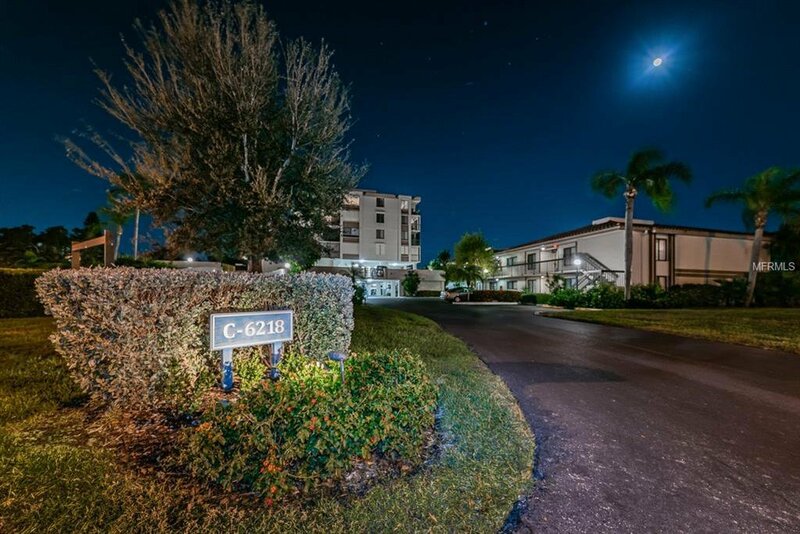 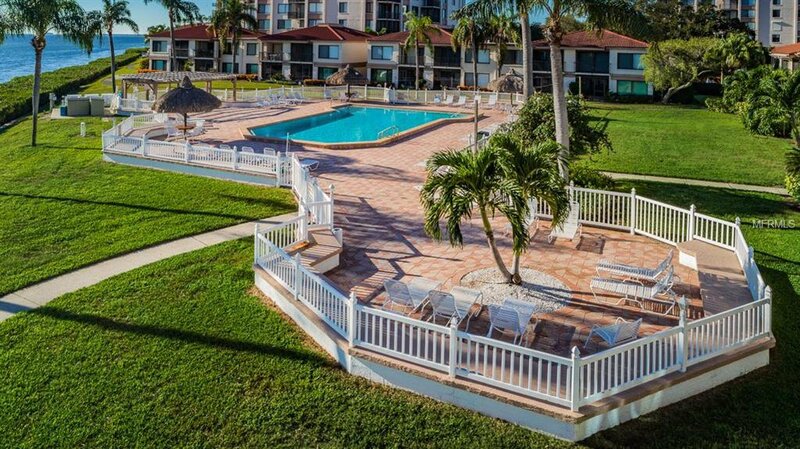 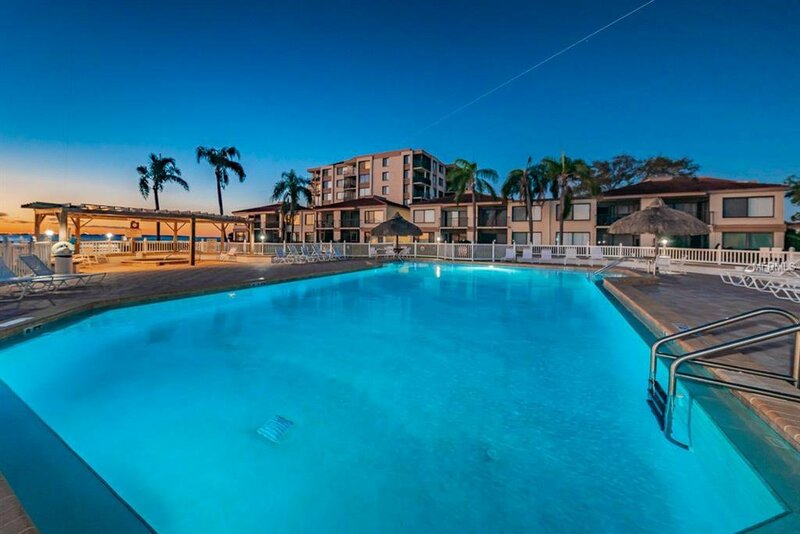 Close to beaches, Ft. DeSoto Park & fine dining and shopping. 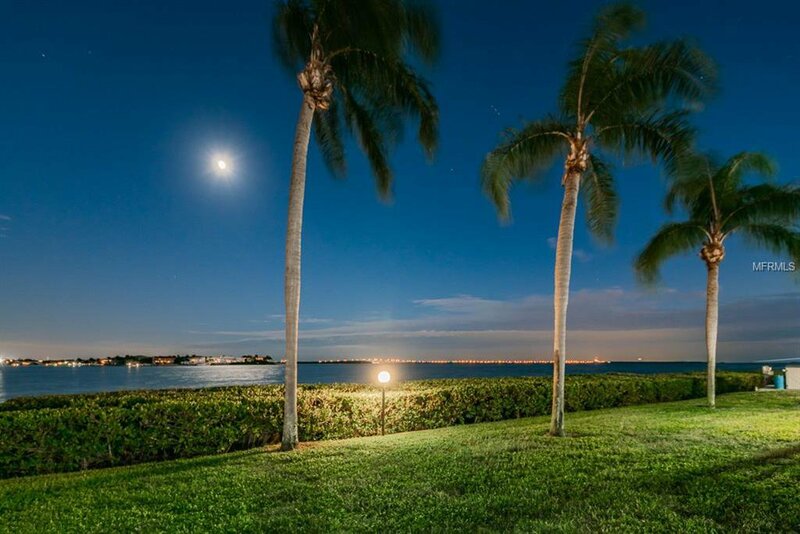 Easy access to I-275, St. Pete & Tampa Intl Airport, this villa has it all. 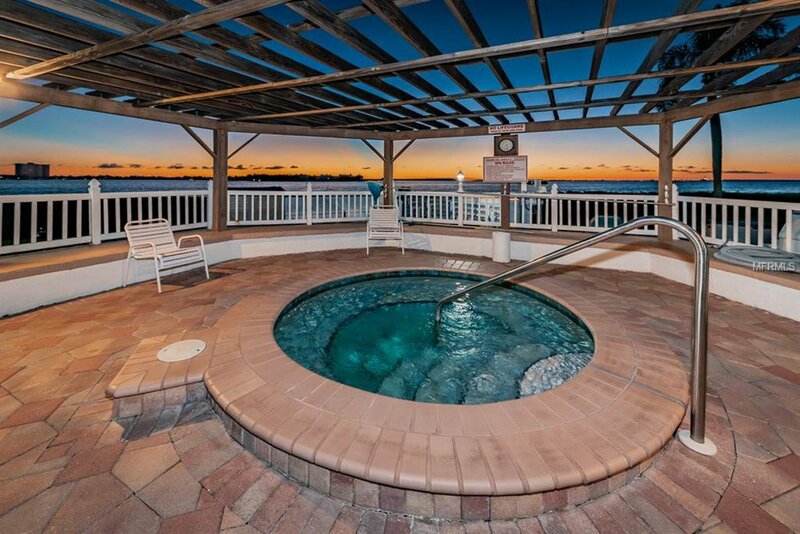 Virtual Tour for more photos. 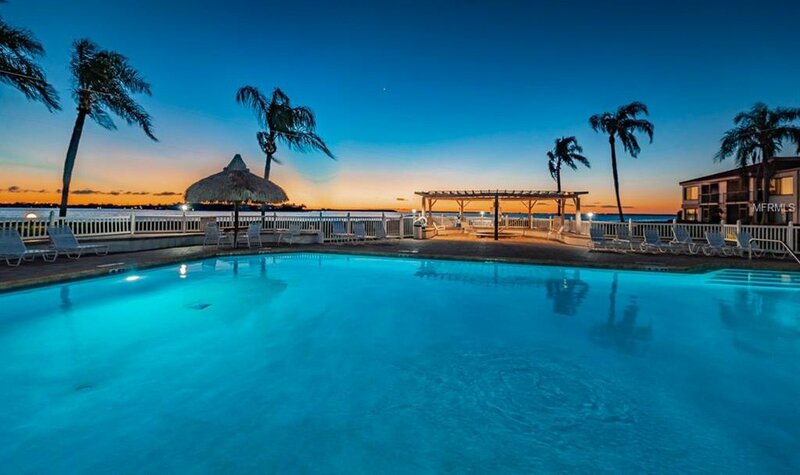 Island time awaits you! 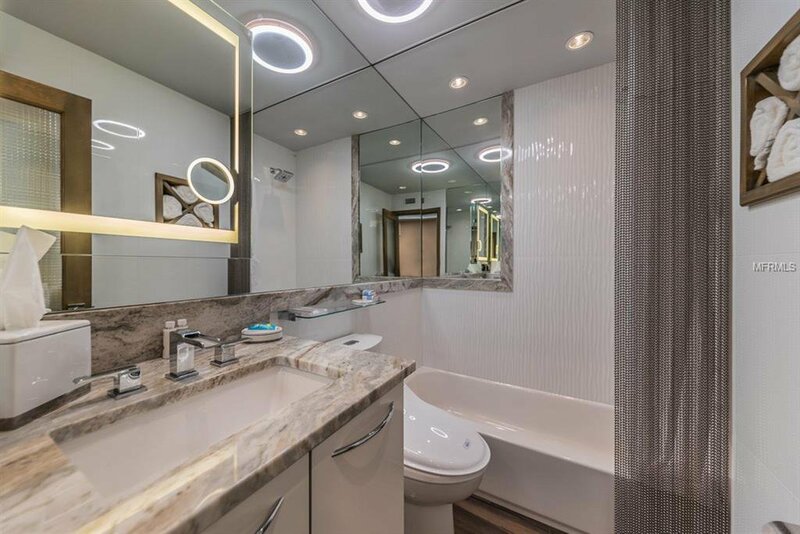 Listing courtesy of RE/MAX ELITE REALTY.